Moonlit nights. Shadowed trees heavy with moss. Blackwater creeks. Centuries-old cemeteries in quiet churchyards. Dark and powerful storms that seem to rush in from nowhere, leaving profound quiet in their wake. These eerie but familiar traits of the South Carolina Lowcountry are the backdrop for many oft-told ghost stories. Over the decades, two such ghosts have become especially endeared to those along the Grand Strand: Alice Flagg of the Hermitage and The Gray Man of Pawleys Island. These famous local ghost stories only add to the mystique and wonder that is the Myrtle Beach area. 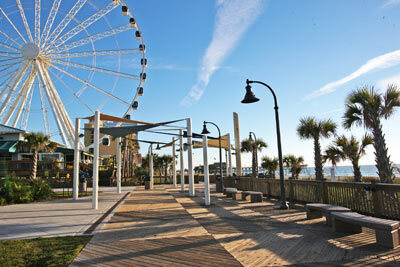 For more information: Legendary History of The Grand Strand on VisitMyrtleBeach.com.